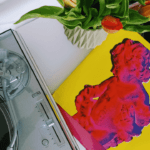 So – you’re into vinyl and you want a new hi-fi system? 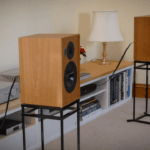 And you’ve already sourced a pair of reasonably efficient loudspeakers? You’ll need the following equipment: 1) a turntable (obviously); 2) a phono pre-amp to bring the turntable’s signal up to line-level; 3) a pre-amplifier for source selection and volume control (may I suggest tubes?) and; 4) a power amplifier to drive the loudspeakers. Maybe you might also consider a 5) separate headphone amplifier for late night listening and a 6) D/A converter for your TV, (vintage) CD player that comes equipped with Bluetooth for when your friends drop by? Ohhhhh – you don’t want separates housed in a hi-fi rack with a messy cable tangle hanging off the back? 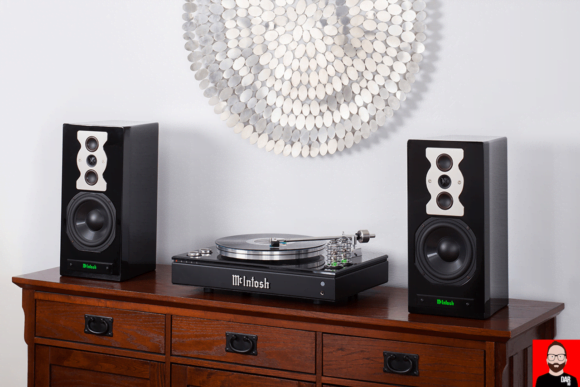 Well, aren’t you the progressive hi-fi consumer. 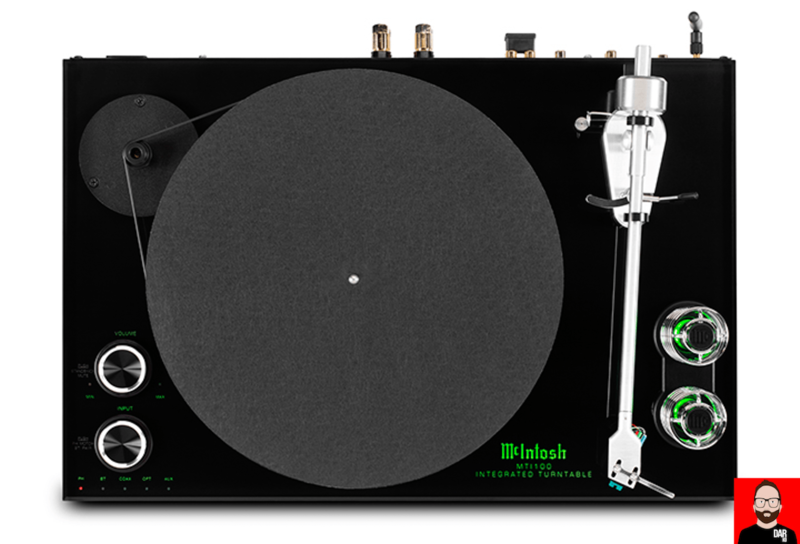 Perhaps I can point you in the direction of the new McIntosh turntable? It’s called the MTI100, it’s a belt drive and arrives with a Sumiko Olympia MM cartridge factory fitted to its machined aluminum tonearm. The two-part plinth on which everything sits is designed to absorb vibrations: a 9.5cm-thick piece of glass on top of a 6.4cm metal plate. And no, you don’t have to lift that 3kg aluminium platter to change the speed from 33rpm to 45rpm. See the top-left corner? You manually move the belt from one pulley to another. Those knobs? One is for switching inputs between the turntable, a line-level input and the internal DAC’s inputs (coaxial, TOSLINK, Bluetooth). The other is for volume. That pair of green glowing protrusions seen to the right of the tonearm? Those are the 12AX7 tubes that sit at the heart of the internal pre-amplifier. Did I say internal? Yes, I did. 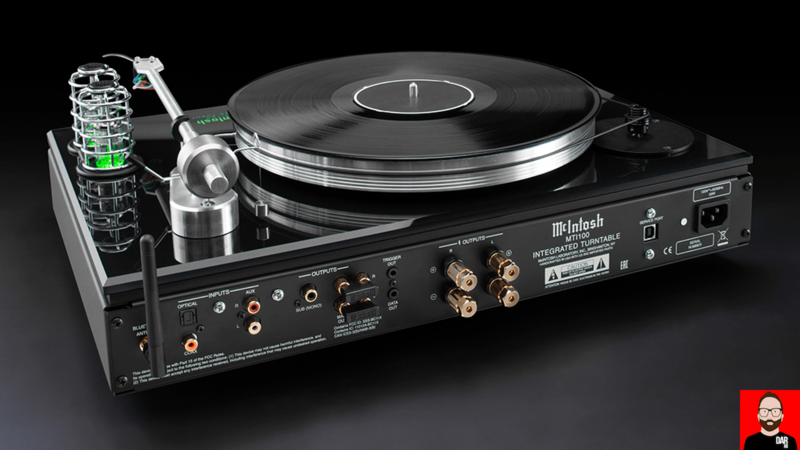 A phono stage is also housed inside the turntable. And because McInstosh’s engineering chops stretch all the way back to 1949, they know a thing or two about shielding. The phono stage is housed in its own box so that it won’t pick up noise from elsewhere. Look at the back panel: next to the subwoofer output, a pair of binding posts for direct connection to your loudspeakers. Inside, a Class D loudspeaker amplifier will deliver 50wpc into 8 Ohms (50wpc into 4 Ohms). And see that socket on the front fascia? That’s for headphones. Any kind of headphone, according to McIntosh. 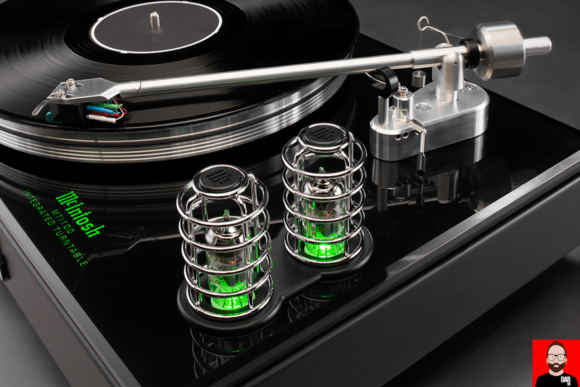 Everything in one box, inside the turntable, for US$6500 / £7500. Shipping begins this week or next in the USA, March for the UK.